Find local History and Adventure near our Hotel. Portsmouth, New Hampshire is a unique seaside city bustling with culture, wondrous attractions and the Holiday Inn Portsmouth hotel. Whether you're here for work or play, our hotel's location in Portsmouth, NH serves you well.If you're vacationing in Portsmouth, NH, our hotel's location is a great launching point. We're near historic sites like Strawbery Banke Museum, USS Albacore Museum and the Portsmouth Harbor Lighthouse. We're also a short drive from the thrilling rides at Water Country. Other nearby attractions include the Kittery Outlets, Prescott Park Arts Festival and the beaches of New Hampshire and Maine.Business travelers in Portsmouth, NH appreciate our hotel's proximity to nearby companies like Liberty Mutual, Lindt, Pease International Tradeport and Portsmouth Naval Shipyard. They also enjoy our seven meeting rooms with 3,890 square feet of flexible space; access to our Business Center makes preparing for any event a breeze.While you stay in Portsmouth, NH, our hotel's amenities will satisfy your needs. Complimentary Wi-Fi access connects you to family and colleagues. Start your day with a workout in the Fitness Center, then cool off in an indoor pool. Swing by Port City Pub for delicious local draft beers and juicy burgers. 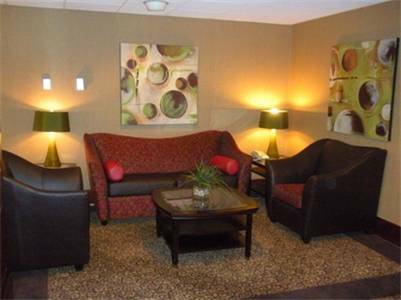 Relax and enjoy what the Holiday Inn Portsmouth has to offer! Port City Pub: Whether you just want to unwind with a glass of wine or work out business details over a few beers, our lounge is the place to be. You can settle back and relax in the comfortable chairs while enjoying your favorite sports on the large flat screen TVs. Childrens's program - Indoor Pool. Wentworth: This Wentworth room is our largest meeting room and can seat up to 175 people. Conference Room: This Conference room is perfect for small to mid-size business meetings. Kittery OutletsVisit the over 120 Kittery outlets for an outdoor shopping experience. Amtrak-University of New Hampshire (DHM)Amtrak travels from Portland Maint to Boston Massachusetts. Pease Golf CourseA beautiful 27 holes of leafy woodlands, streams, and manicured greens are visually stimulating, uniquely enjoyable, and suit all skill levels. Water CountryOne of New England's Premiere Water Parks located just 4 miles from the Holiday Inn! Historic DowntownHistorical Downtown Portsmouth is full of musumes, gardens, locally owned shops, and one of a kind restaurants. Kittery Mall OutletsOver 75 Outlets. Strawberry Banke MuseumThe Seacoast most historic and oldest neighborhood.